A Canadian-led team of international scientists has rediscovered a rare species of monkey that was thought to be extinct in a region of Borneo where it was not known to previously live. The finding was published Friday in the American Journal of Primatology. Miller's Grizzled Langur (Presbytis hosei canicrus) belongs to the small primate genus Presbytis found in Borneo, Sumatra, Java and the Thai-Malay Peninsula. In Borneo, the langur was thought to have lived in a small corner of the country's northeast, where its habitat has been ravaged by fires, human encroachment and conversion of land for agriculture and mining. However, the research team found the langur in Wehea Forest in East Kalimantan, Borneo. The 38,000- hectare pristine rainforest is home to at least nine known species of non-human primates, including the Bornean orangutan and gibbon. East Kalimantan is a challenging place to do research given its remote location, said Stephanie Spehar of the University of Wisconsin, adding that the discovery was possible due to the help of local partners. "Discovery of P.h. canicrus was a surprise since Wehea Forest lies outside of this monkey's known range. Future research will focus on estimating the population density for P.h. canicrus in Wehea and the surrounding forest," said lead researcher Brent Loken, of Simon Fraser University in Vancouver. "Concern that the species may have gone extinct was first raised in 2004, and a search for the monkey during another expedition in 2008 supported the assertion that the situation was dire," he said. The team confirmed that P.h. canicrus exists by setting up cameras at mineral licks where animals congregate. 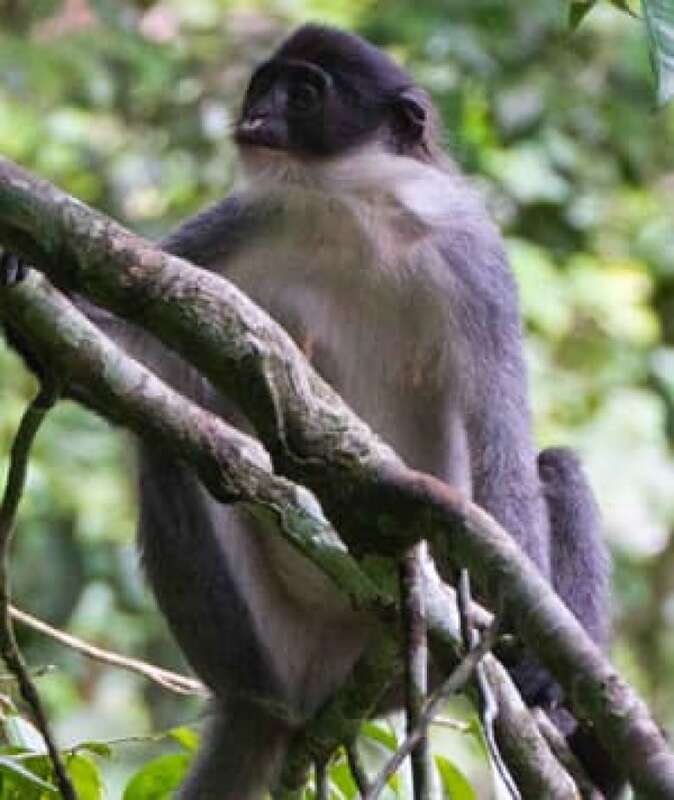 "It was a challenge to confirm our finding as there are so few pictures of this monkey available for study," said Loken. "The only description of Miller's Grizzled Langur came from museum specimens. Our photographs from Wehea are some of the only pictures that we have of this monkey." While the finding confirms the monkey still exists, it remains one of the world's most endangered primates, said Loken.